Food and drink capital projects experts, Integrated Food Projects, has announced a new addition to its senior leadership team to support with the continued success of the business and significant growth in 2018. Paul Hanson joins the Leicestershire-based company as head of construction, with more than 15 years experience as a project manager in the Food and Drink sector, and leading multi-million pound capital project schemes. Bringing experience from a range of roles, Paul has most recently worked as a multi discipline project manager. His other roles have included, building and civil engineering manager, design coordinator and contract administrator across the food, beverages, brewing and advanced manufacturing sectors. 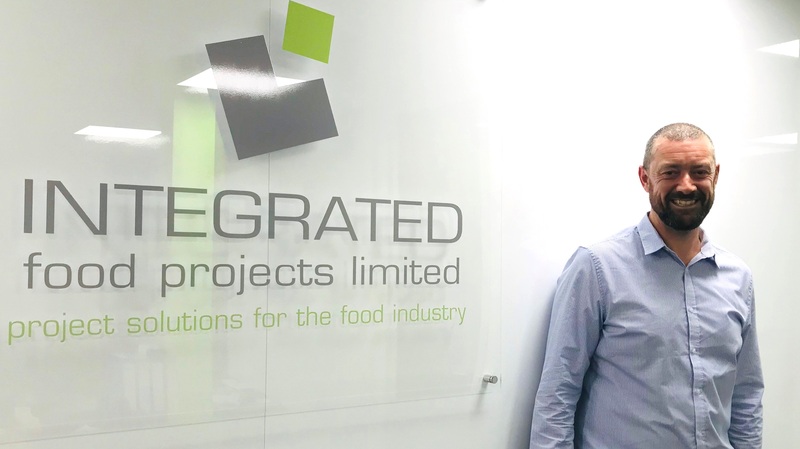 At Integrated Food Projects, Paul will lead his team on construction projects, focussing on design and implementation, quality, and assisting with the key strategic delivery of the best solutions for clients. “I am extremely happy to be working with Integrated Food Projects, the prospect of assisting with, and developing new ways to grow the building and civil delivery capabilities of the core business and its live projects, is really exciting, and I can’t wait to get stuck in. Integrated Food Projects, which was established in 2002, delivers and manages investment strategies, helping manufacturers throughout their particular process from initial analysis and design to implementation and transition. For further details visit www.integratedfoodprojects.com.